Sony Pictures Television and Spectrum Network have released the official trailer for their forthcoming Bad Boys television spinoff titled L.A.’s Finest. Starring Gabrielle Union (Being Mary Jane) and Jessica Alba (Mechanic: Resurrection), the series is scheduled to debut its first three episodes on May 13, exclusively on Spectrum On Demand. Check out the video below! 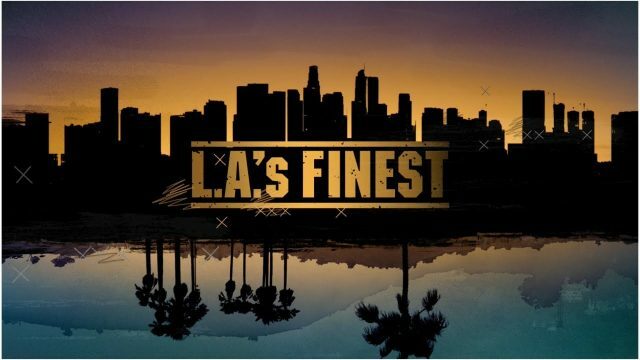 L.A.’s Finest is 13-episode series which follows the story of Syd Burnett (Union), last seen in Miami taking down a drug cartel, who has left her complicated past behind to become an LAPD detective. Paired with a new partner, Nancy McKenna (Alba), a working mom with an equally complex past, Syd is pushed to examine whether her unapologetic lifestyle might be masking a greater personal secret. These two women don’t agree on much, but they find common ground when it comes to taking on the most dangerous criminals in Los Angeles in this character-driven drama. Additional cast for the series also includes Ernie Hudson as Joseph Burnett, Zack Gilford as Ben Walker, Duane Martin as Ben Baines, and Ryan McPartlin as Patrick McKenna. The series helms from Sony Pictures TV, Jerry Bruckheimer Television, and 2.0 Entertainment. Pam Veasey (CSI:NY) will serve as co-showrunner of the series and is executive producing alongside Union, Alba, and writers Brandon Margolis and Brandon Sonnier (The Blacklist). Doug Belgrad (Peter Rabbit), Jerry Bruckheimer (Bad Boys), Jonathan Littman (CSI franchise), KristieAnne Reed (Lucifer), Jeff Gaspin (To Tell the Truth), and Jeff Morrone (Atomic Blonde) will also executive produce. Anton Cropper directed the pilot and is an executive producer.